You can use the Virtual Server to forward an individual port to one of your computers. You cannot forward the same port to multiple computers. In order to configure the D-Link Virtual Server you need to know the IP address of the computer that needs the port opened and the service port number. The links below will help you find the IP address of your machine. If you don’t know which port needs to be opened, try checking the software manufacture’s support website for information on use behind firewall. Step 1: Access the device configuration by entering 192.168.0.1 in your web browser. Login with your username and password. The default username is admin and the password is blank. Step 2a: If the port you need to forward is a common port, it will be under the predefined virtual server list at the bottom of the page. Click the pad and paper icon next to the virtual server entry you want to use. The Protocol Type and Service Port fields are preconfigured. Click the Enable radio button to use the virtual server. 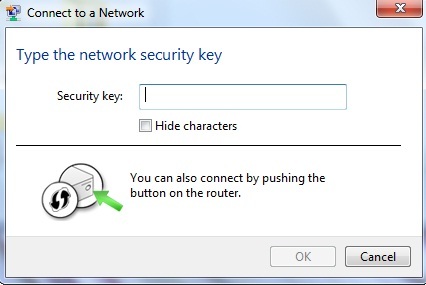 Enter the private IP address of the computer that will use the service port. Configure the Schedule as needed, then Apply your settings. Step 2b: If the port you need to forward is not listed under the predefined virtual server list at the bottom of the page, you can create a new entry for your application. Click the Enable radio button to use the virtual server. Give your virtual server a name. Next, enter the private IP address of the computer that will use the service port. Then, select the Protocol Type and enter the Service Port. If you don’t know how to use Private and Public port assignment, then just enter the same port number in both fields. Configure the Schedule as needed and Apply your settings. You must open ports on your router to allow incoming traffic while using eMule. * To prevent getting a low ID (Firewalled), open additional TCP ports between 4661 and 4665. Also, limit the number of connections in the eMule software. You may need to change the TCP Clientport to something other than 4662. Step 2: Click on Advanced and then click Virtual Server. Private IP – Enter the IP address of the computer you are running eMule from. Click Always or set a schedule. Step 4: Click Apply and then Continue. Step 5: Repeat steps 3 and 4 but name it emule2, select UDP for Protocol Type, and enter 4672 for both Private Port and Public Port. Step 6: Repeat steps 3 and 4 but name it emule3, select TCP for Protocol Type, and enter 4711 for both Private Port and Public Port. 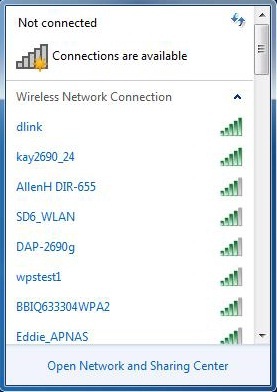 Note: If the screenshots look different (DI-604), then you have the European version of your router which D-Link USA does not support. Step 1 Open your web browser and enter the IP address of the router (192.168.0.1). Enter user name (admin) and your password (blank by default). If there is only 1 box, enter admin. Step 2 Click on Advanced at the bottom and then click Virtual Server. Enter 4661-4665 in the box under Service Ports. Enter the IP address of the computer you want to run eMule from. Check the box under Enable. In the next box down, enter 4672 under Service Ports. In the next box down, enter 4711 under Service Ports. Step 4: Click Save and the click Reboot. NOTE: If you can only enter a single port (not a range) and/or are limited to 10 entries, upgrade your firmware to the latest version at support.dlink.com/downloads.